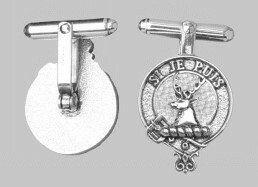 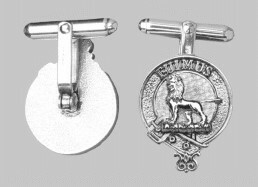 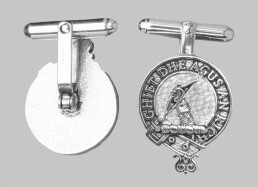 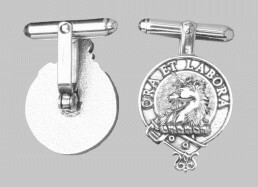 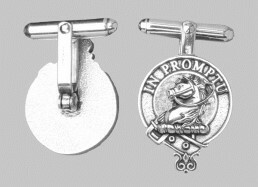 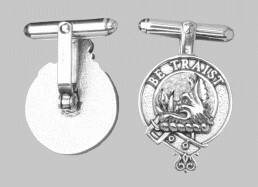 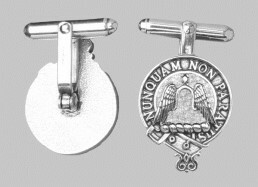 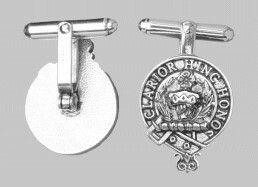 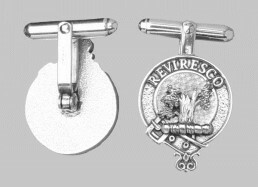 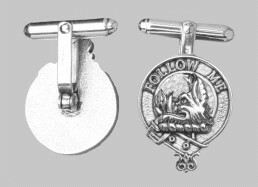 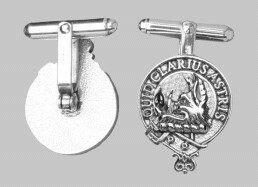 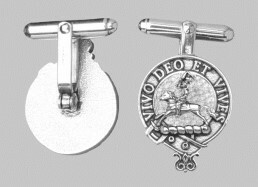 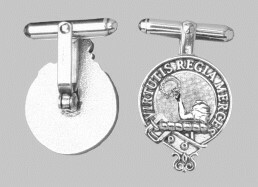 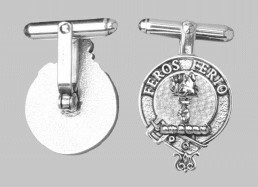 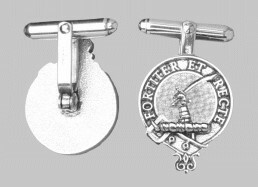 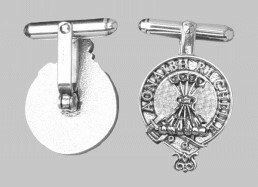 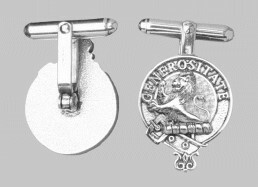 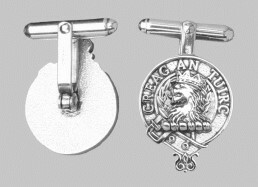 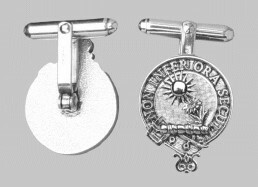 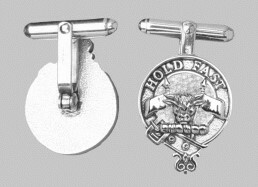 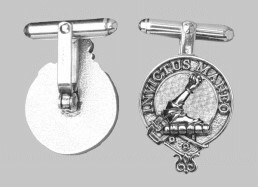 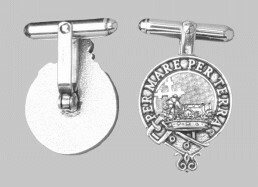 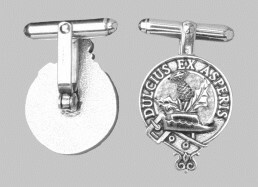 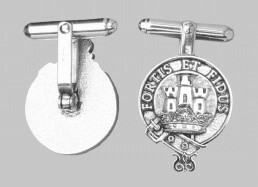 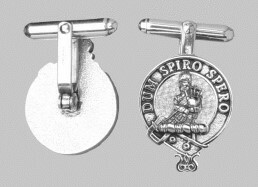 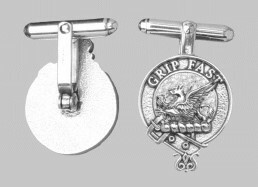 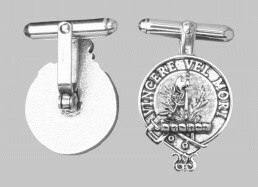 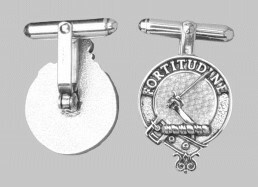 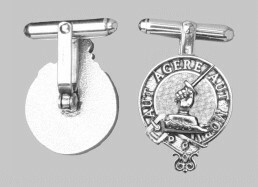 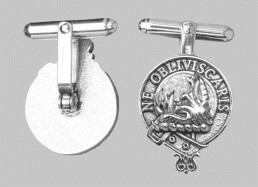 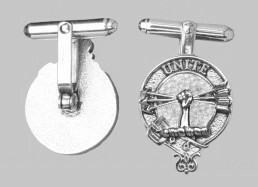 On this page you will find a very simple method for purchasing a set of solid silver Cufflinks for any of our 120 clans using Paypal, and you don't even need a Paypal account to use it. We offer FREE SHIPPING (to anywhere in the world). 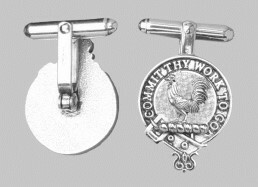 Please remember however that all of our pieces are custom-made to order and take 4-6 weeks to make but you will be sent an email confirming the details of your purchase. Please also ensure that you read our terms and conditions page before placing an order. 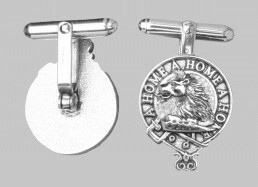 Disclaimer: The fitting shown in these images is no longer available however an equally as attractive and functional fitting is now used. 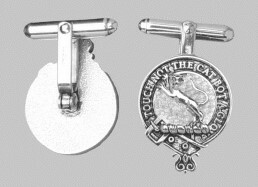 These cufflinks, based on the 3/4 inch crest, are beautifully detailed and would adorn any shirt cuff. They are made in solid, sterling silver and come in their own presentation box.